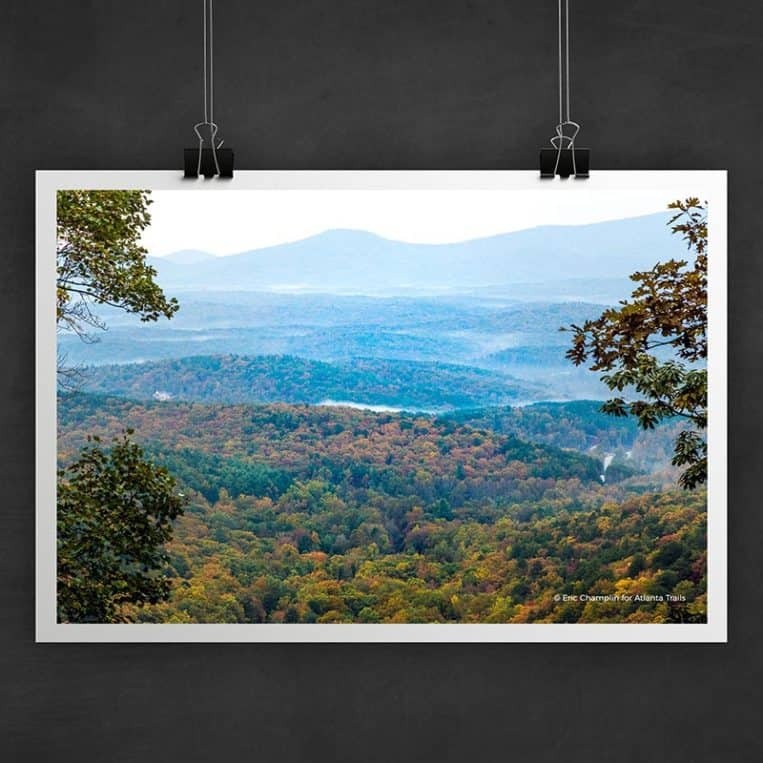 Hike Amicalola Falls State Park to Georgia’s tallest waterfall, the southernmost point of the Appalachian Trail, and a backcountry lodge on our favorite hiking trails. Amicalola Falls State Park is nestled in North Georgia’s mossy, waterfall-filled Chattahoochee National Forest, set in the rolling, vibrant-green southern Appalachian Mountains. It’s one of the most popular, and most visited, of Georgia’s State Parks – and for a good reason. 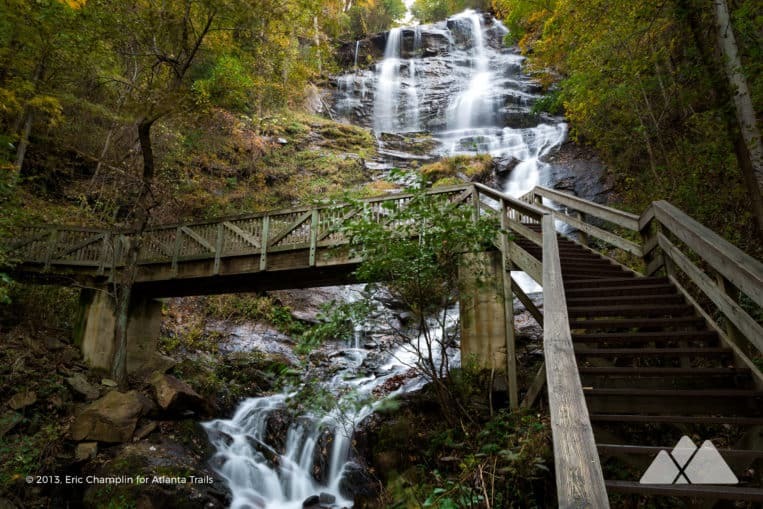 At the heart of the park, the Georgia’s tallest waterfall spills down a towering bluff, falling 720 feet into a mossy, boulder-filled forest. It’s the highest cascading falls east of the Mississippi River. This towering waterfall is located 7.5 miles by hike from the southern end of the Appalachian Trail at Springer Mountain, and it’s the closest access point to the AT via paved roads. The AT Approach Trail departs from the crest of this waterfall, trailing to the Springer Mountain summit. It’s at Springer that the Appalachian Trail begins its 2000+ mile, epic journey northbound for Maine, a hike attempted every year by thousands of AT thru-hikers. 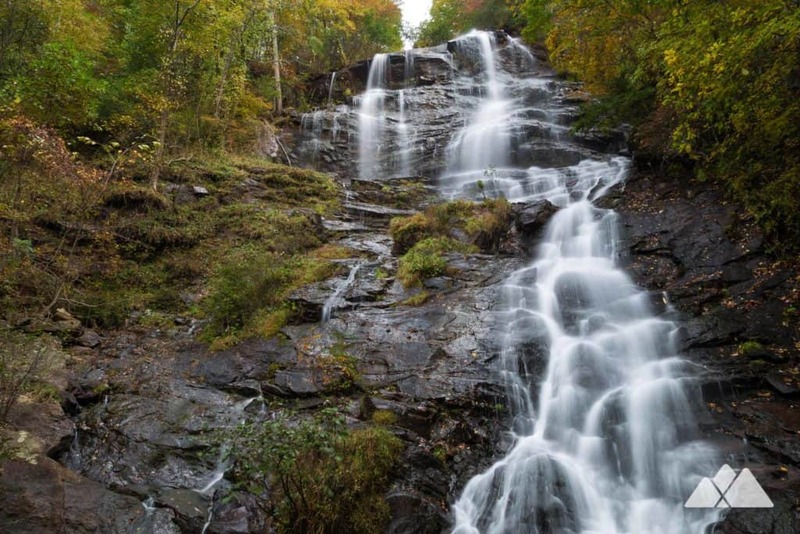 These are our favorite hikes at, and beginning at, Amicalola Falls. Staying the night? 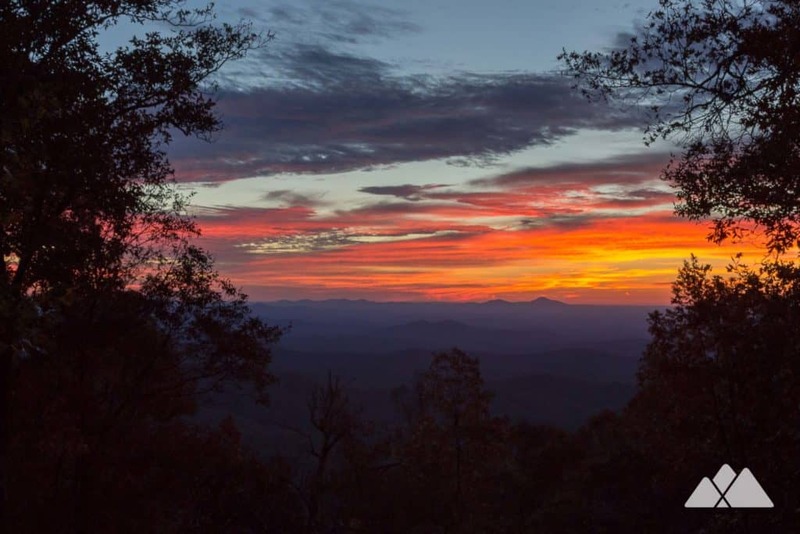 Reservations are required for the Len Foote Hike Inn, and highly recommended for the Amicalola Falls Lodge and the park’s campsites and cottages. Hike this scenic loop to catch the most scenic views at the park. The hike begins under a stone arch commemorating the Appalachian Trail, climbs to a ridge with incredible views, and then winds down a series of stairs flanking the immense, tumbling waterfall. Hike from the crest of Amicalola Falls to Springer Mountain, the southern end of the Appalachian Trail. This 15-mile roundtrip makes for a challenging day hike, an even better overnight backpacking adventure, or the ulimate start to a thru-hike on the Appalachian Trail to Maine. Hike from Amicalola Falls to the eco-friendly Hike Inn, a backcountry lodge that’s only accessible by trail. 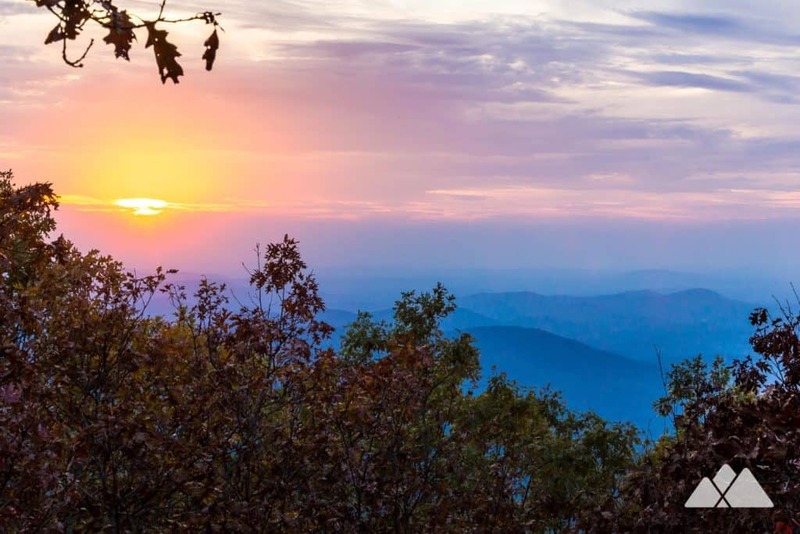 Stay the night to catch a stunning morning sunrise, great company and great food, and make a day hike adventure to nearby Springer Mountain. Stay the night (or a few) at the Hike Inn, an eco-friendly lodge that’s accessible only by hike, and one of the coolest outdoor experiences in Georgia. 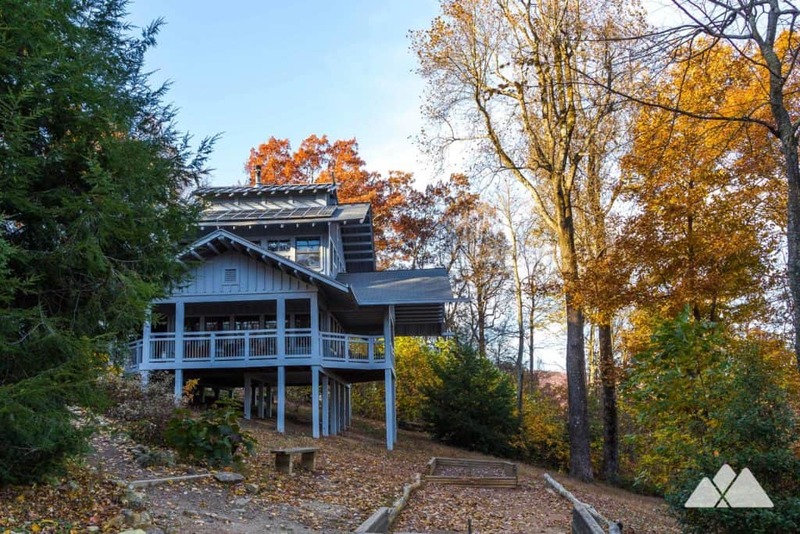 Located between the falls and Springer Mountain, the Hike Inn offers access to great hiking – but you’ll be tempted to just relax at this beautifully unique inn. 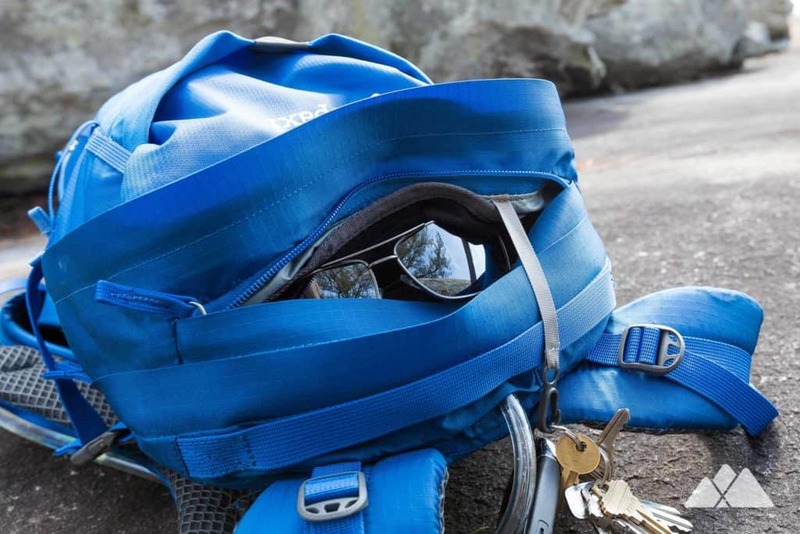 What to pack for your adventure? Ready to hit the trail, but wondering what to pack? Our hiking gear list features our favorite, trail-tested hiking gear for day hikes on local trails and in the Georgia backcountry. We print and stitch our Atlanta Trails shirts and hats locally in Atlanta and Asheville, and they’re our favorite for trail adventures all over the South. No matter what you pack in, pack it all back out. Please leave no trace and help preserve Georgia’s beauty.